Showing results for tags 'arii'. Or, as I liked to call it while building, Pickle Squadron. 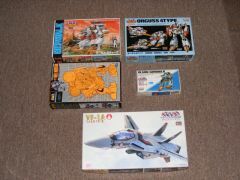 All are 1/20000 scale plastic kits from Arii. They're old, but went together pretty easily, and look pretty nice considering their size. The fleet Nupetiet-Vergnitzs 5731 Queadol-Magdomilla 10107 Quiltra-Queleual Thuverl-Salan Tiny SDF-1 As usual, more can been seen here. 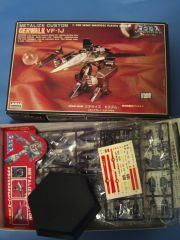 Aqueous Macross Color Set 3 Destroid Defender. 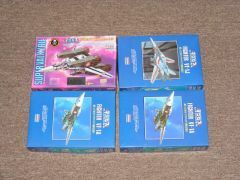 Aqueous Macross Color box in comparison to 1/72 Defender kit box. The 1/72 Defender was actually my first ever Macross kit, so the paint set makes a nice companion piece. 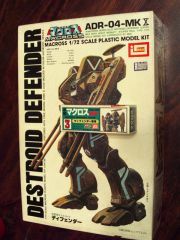 Aqueous Macross Color Set 3 Destroid Defender. The three little jars seem like they would barely have enough paint for the job. Oddly enough, each jar has no label or unique marking. You get a sheet of them to apply yourself - 1, 2 & 3. Hopefully you're not color-blind! My sample's base medium had migrated out of the lid of each jar, collecting like dried amber inside the box. One jar is actually tightly glued into the box. 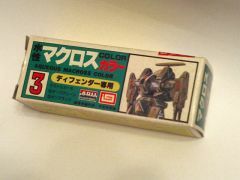 Aqueous Macross Color Set 3 Destroid Defender. Color placement notes. 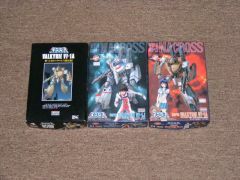 Aqueous Macross Color Set 3 Destroid Defender. 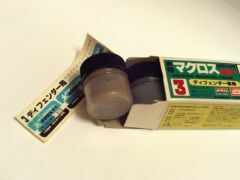 Vintage water-based acrylic paint set for Imai & Arii Destroid Defender kits. 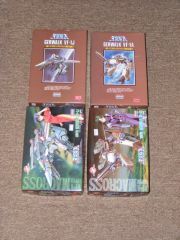 I had wondered about these sets for a long time, so I bought a dried-up but unused set cheaply via eBay. 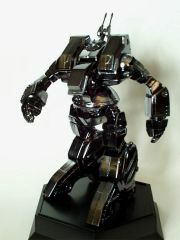 My recent buildup of Arii's "Metalize Custom" 1/100 Destroid Spartan kit. A rubbing with a #2 pencil against the cut-off gate points touched up the lack of chrome in those spots. 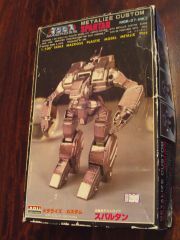 Vintage kit from Arii's "Metalize" sub-line. These are a unique challenge to build! 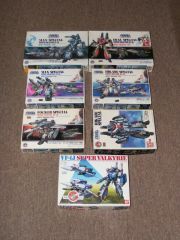 A nice example of the beautiful box art Arii created for their kits. Jefuemon posted a topic in The Workshop! Some of you (hopefully) noticed that I recently got the book VF Modeling Manual. 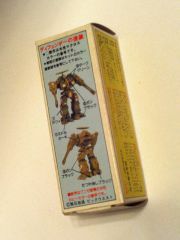 In there, they give a description on how to do a recessed vernier for your 1/72 kit. As I am building an old Imai Gerwalk now, and trying to pep it up a bit, here's what I did to make the vernier. Start by getting yourself some 5 mm plastic pipe. I'm using Tamiya. No special reason for it being clear, that's just what the hobby shop happened to have in stock. Next, take the part you want, and drill a 5 mm hole (obviously, on the Hasegawa kits, just remove the original casted vernier area. Cut a small piece of the rod. I did around 4 mm long. Then, smooth out the rough edge. 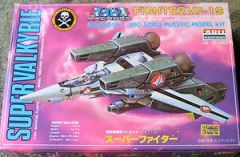 Now, here is where I'm deviating from the Modeling Manual plans, since I've got some extra parts from Jasmine Models lovely VF-1 PE set. I'm using the round pieces in the lower left. Glue the round piece onto one end of the short tube. Draw a mark on the tube for how far you want to insert it into your kit. You only want to go 2 mm or so. Put it, and glue it. Once the glue has set, trim off the excess, and sand it flat. Put on the top piece, and you're finished! (actually, wait to do this until you've primed and painted. much easier to get the inside black with no cover) Now, if you don't have the PE set, use a small disk of plaplate (5 mm, natch), and a small strip over the top of it. You'll also want to get a circle scribing template (probably around 6 mm) to go around the outside of the hole.